Cordless multi tools are the Swiss army knife of the power tool world. Their ability to do a variety of applications is second to none. 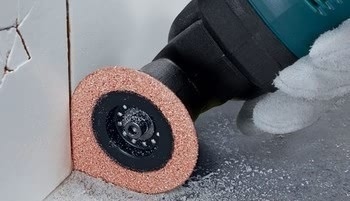 From sanding to sawing and many other tasks, they have you covered. We pick out 5 of the best battery-operated oscillating multi tools that combine convenience with quality to give you the edge. These are some of the key tasks that can be undertaken with our cordless multi tools. Renowned for their versatility, they share many similar features. The main differences between them are the mounting systems and battery options and accessories that come with each kit. Below we pick out some of your best options to fulfill the above demands. Read more about the Starlock mounting system here. This Milwaukee multi tool incorporates REDLINK and REDLITHIUM-ION, giving it best in class durability and performance. Additionally it delivers up to 2x more run time, 2x more battery life and up to 20% more power. Furthermore, its 3.4° oscillation movement allows quick completion of professional applications into materials such as metal, wood and plastic. Milwaukee’s battery system is a bonus, too, as it allows the use of any M18 battery to be used along with the multi tool. Makita’s compact multi tool is engineered for faster, more aggressive cutting and sanding. Moreover, it boasts variable speed control dial (6,000-20,000 OPM), enabling the user to match the speed to the application. It is ideal for wood flooring, tile, plaster, wood, PVC and a variety of other applications. Makita’s DTM50 is available as a bare unit or with a battery included. 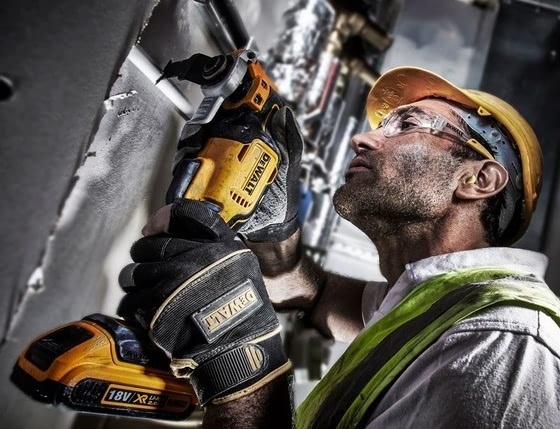 Dewalt’s own cordless multi tool 300w motor delivers 0-22,000 oscillations per minute, providing faster completion of the most demanding tasks. It also encompasses rubber over mould and ergonomic handle design, providing comfortable use over extended periods. Our DCS355 kits come with a whole host of accessories to help you get the ball rolling. Festool’s first-ever cordless multi tool, the Vecturo oscillator excels at cutting all kinds of skirting board, beams and profiles to length as well as door frames and pipes. In addition to that, it allows you to keep dust to a minimum when working. A mobile dust extractor can be connected using the optional dust extraction device. Read more here. In conclusion, the aforementioned cordless multi tools provide an array of impressive features. While each has its own qualities, what they all have in common is the versatility and flexibility to be used for many types of jobs. As ever, it is also important to stress the benefits cordless power tools bring to the table. For example, the ability to perform with corded power without the need for cords. So whatever you are working on with these cordless multi tools, being without power is of no concern. Check them out at one of our showrooms. You can view our range of cordless multi tools here. Order before 17.30 for next working day delivery.